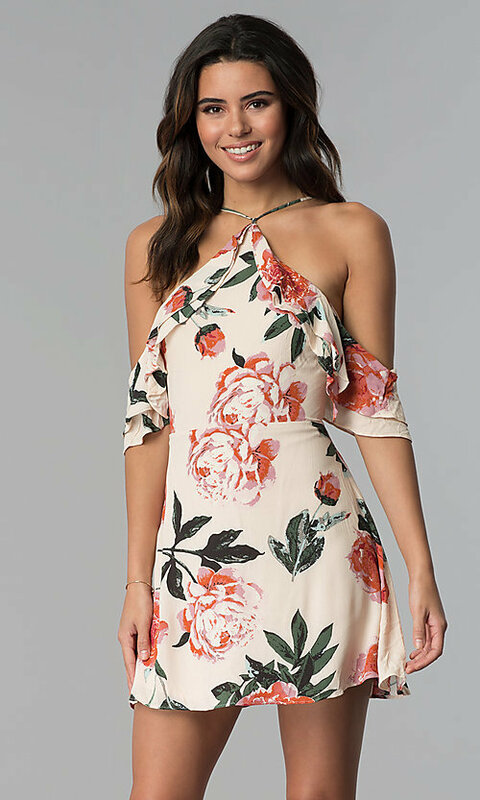 This blush pink floral-print party dress is flirty and fashionable with a design that's perfect for any casual event. 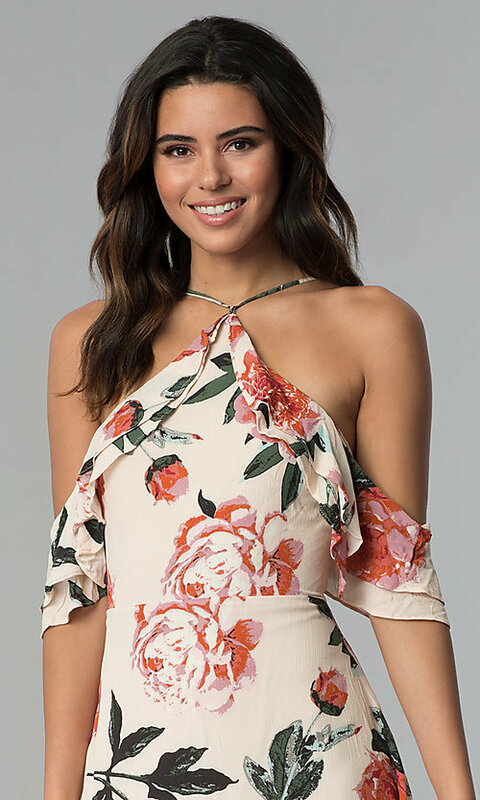 The triangular high neckline on the feminine short dress kicks off the up-to-the-minute style, while soft layers of ruffled fabric extend over the bodice and form equally trendy cold shoulder sleeves. Made from a cotton blend, this little party dress is comfortable enough to sport any day of the week. A small seam around the natural waistline defines the figure to flatter with every step as the short skirt extends out over the hips in a relaxed a-line style. Worried about fit? 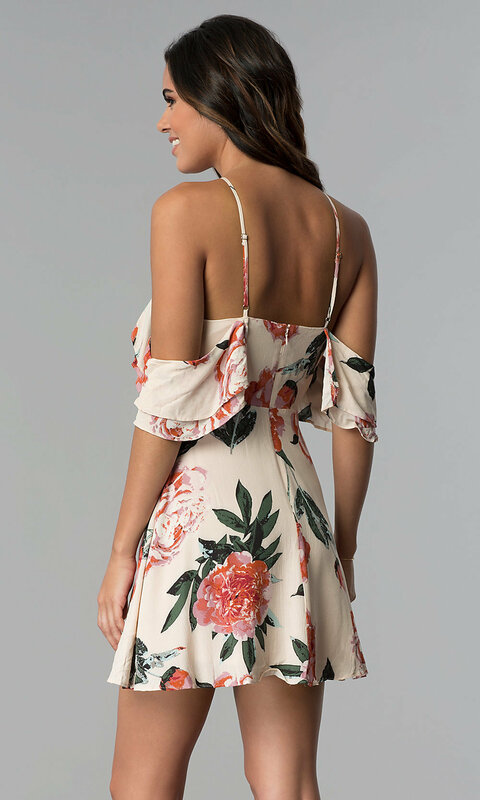 The thin spaghetti straps of this casual floral-print dress adjust in a cinch.